First, ensure that your value exceeds the fees or donations requested. At a minimum, the value you provide should equal the fee or donation. To make the opportunity irresistible, provide value in excess of it. Second, be sure your customer or donor desires the value. Yesterday a CEO proudly told me that her nonprofit could turn a $2,000 donation into $62,000 worth of services for disabled people. This is an excellent example of a value that exceeds a donation. However, to obtain income she must find donors who value those services. Unless your donors and customers value what you offer, you won’t generate income. For instance, Mr. Clark’s CFO valued their membership with The Nonprofit Coordinating Committee of New York. He estimated that the membership generated saving equal to three times the fee. Third, make your offer distinctive. Offer items or services that your donors or customers desire but can’t obtain, find difficult to obtain, or that you can do better. Do this by offering services, experiences, or products, based on your nonprofit’s expertise. To help its fifteen hundred members, The Committee brokers group discounts that are not available to individual nonprofits. These include payroll processing, insurance, and conference room rental. Finally, cement your value with relationships. So far we’ve learned to provide value that is well suited to your nonprofit’s expertise and that exceeds the cost. 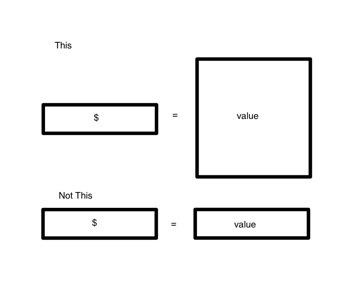 To fortify the value, add one more element: relationships. The Nonprofit Coordinating Committee of New York offers interactive experiences that include an excellence award, training and support, workshops, and roundtables. Each experience helps members to be part of a learning community and forge new relationships with The Committee.